Cantagrel feels that to understand Bach's work you must get to know the man better. "People always refer to Bach as the cantor of Leipzig, their voices trembling with emotion. One needs to know that Leipzig at the time had 23,000 inhabitants and that it took 15 minutes at most to walk across the city at its widest point. This changes your perspective considerably. Moreover, Bach detested the title of cantor, which merely meant schoolmaster. He much preferred the title of city music director. After all, he was a conductor, composer, concert organizer, organ specialist, and of course a teacher." That image of Bach as a teacher watching the progress of his pupils, is very different from that which most admirers have in mind. And yet, in his time, Bach was recognized as a very distinguished teacher. There were no music schools or conservatories in the seventeenth century. Musical education often consisted of training singers for Lutheran services. Institutions such as Latin schools prepared students for university with a curriculum based on the humanities. University students who wanted advanced musical training studied with a music master. 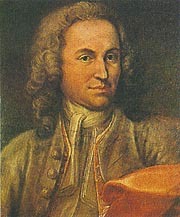 Bach's students were between seventeen and twenty-one in age. In his early career he was teaching students who were actually older than himself - a situation that had its awkward side. 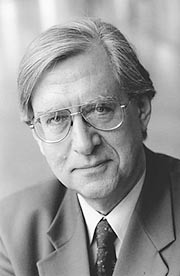 Cantagrel's research into contemporary documents has given him a fairly precise idea of Bach's teaching methods. "Initially he had the student write a _gured bass and a melody in order to evaluate the latter's sense of music. Bach felt that without this sense there was no point studying music. It was extraordinary! You became a composer and harpsichordist at the same time, studying both the _ngering and the music theory of a passage at once." Bach was a perfectionist, and he never stopped. He himself said that anyone could do the same if they worked hard enough. He used to give rank beginners the preludes and fugues of the Well-tempered Clavier, originally composed for his favourite pupil - his son Wilhelm Friedmann, on whom he experimented with new teaching methods. Cantagrel has examined the manuscript of one of the _rst pieces that Wilhelm Friedmann worked on, and was astonished with his _ndings. "The polonaise had all the _ngering marked, which gives us a good idea of Bach's technique. For the _rst time you can see modern _ngering, including the thumb which until then had not been used. This was a crucial innovation that led to enormous progress in instrumental technique. Carl Philipp Emanuel Bach corroborated these discoveries in his treatise on playing the harpsichord." When asked why he is so deeply attached to Bach in particular, Cantagrel _nds it dif_cult to say. "I've really no idea. I'd be tempted to reply, as did Montaigne, 'Because he is who he is, and I am who I am. ' I think there's no _ner de_nition of friendship than this. When you take a special interest in someone, it's because that person has something to give that goes beyond time. I didn't choose Bach: he chose me." This remarkable friendship seems to be anchored in Cantagrel's earliest memories. His grandmother and mother both played Bach, as did an old woman in his building who delighted in The Well-tempered Clavier. His _rst piano lessons were also devoted to Bach. By age eleven he was singing choral music, including extracts from the Bach Passions. "I was bowled over," he con_des. "The music and the intense spirituality of Holy Week services were an unforgettable experience." Cantagrel studied piano briefly before devoting himself to the organ. He admits to being able to play entire sections of Wagner operas from memory and without practice! He believes that various areas of knowledge should not be cut off from one another, which is why he chose to study physics and art history at university." Everything is linked to the relationship of architecture and acoustics," he points out. "The development of the language of music is explained by the acoustic conditions in which composers had to make themselves heard." He deplores the current trend for indiscriminately playing all kinds of music in all kinds of venues. For Cantagrel, Bach remains "the father of music, and people are still being inspired by him." We need look no farther to understand his willingness to present the four concerts offered by the Jeunesses Musicales in the series "Bach to School/Bach vers le futur." Four composers have been asked to provide modern spice to baroque compositions. The letters BACH are to be developed as variations, and reflect the choice of composers: Denis B�dard, Serge Arcuri, Barrie Cabena et Jacques H�tu. Cantagrel is eagerly looking forward to the event. "Bach shouldn't be a consumer product," he says. "His music is alive and still enriching those who hear it, especially composers. Bach is a universal musician, not simply the property of baroque fans. He is truly turned toward the future and still has much to say to us." Nine concerts will be given from September 18 to 22 in the "Bach to School/Bach vers le futur" series. Four works will be presented, and Montreal's youthful public can share this unusual concert experience at the Maison des Jeunesses Musicales. In addition to his book, Passion Bach, Cantagrel has published Bach en son temps and Le moulin et la rivi�re, �ditions Fayard).